If you’re reading this, it’s likely that you found it on social media. Like many small businesses, we Journeyers use LinkedIn, Facebook, Instagram and a barrage of other self-publishing platforms to get our information out to people like you who are interested in what we have to say. Social media is an incredible tool for helping companies get in front of potential customers. But for most small business owners, it can be tough finding time to be active and engaging, especially considering all the different networks and mediums. Heck, it can be hard just figuring out what to say! So let’s break it down with just a few things you can do to give your business’s social media a boost without breaking the bank. First things first. Think about what social media platforms relate to your business and which ones you actually enjoy using. Not every platform will be relevant to every business and you’ll probably end up driving yourself crazy figuring out how you fit in. If you’re an accounting firm, it’s going to be tough coming up with great photos to engage people on Instagram. If your business caters to Gen X and Baby Boomers, you’re likely wasting your time on Snapchat. Remember that time is money and spending too much of yours on social media can be detrimental to your business. Choose the platforms that you think will give you the best chance for success and stay focused on them. Now it’s time to make sure that all your account information is updated and accurate. Have a look to see if anything needs changing. Do you have new summer hours or has your logo has been updated? Maybe the mission statement or “About Us” that you wrote a year ago has taken a different turn. Are your pictures up to date and are all the applicable sections filled out so that potential customers have the right information? One Facebook feature we love is the Services tab, which allows you to create short but specific descriptions for each service that your business provides. There’s also a Shop section which turns your Facebook page into an online store. Little updates like this are happening all the time, so if you haven’t been paying attention, now is a great time to take an audit of all your accounts to make sure they are up to date and that you’re taking advantage of all the new features and functions that are currently available. Once you’ve done a bit of maintenance, it’s time to start working on some fresh content. Platforms like Facebook and Instagram have moved away from showing posts in chronological order and they now deliver updates to people according to the way that a person interacts with an account or page. So if your mom is always liking and commenting on your posts, she’ll keep seeing them. But if potential customers aren’t interacting or engaging with what you’re putting down, your messages will likely be lost. 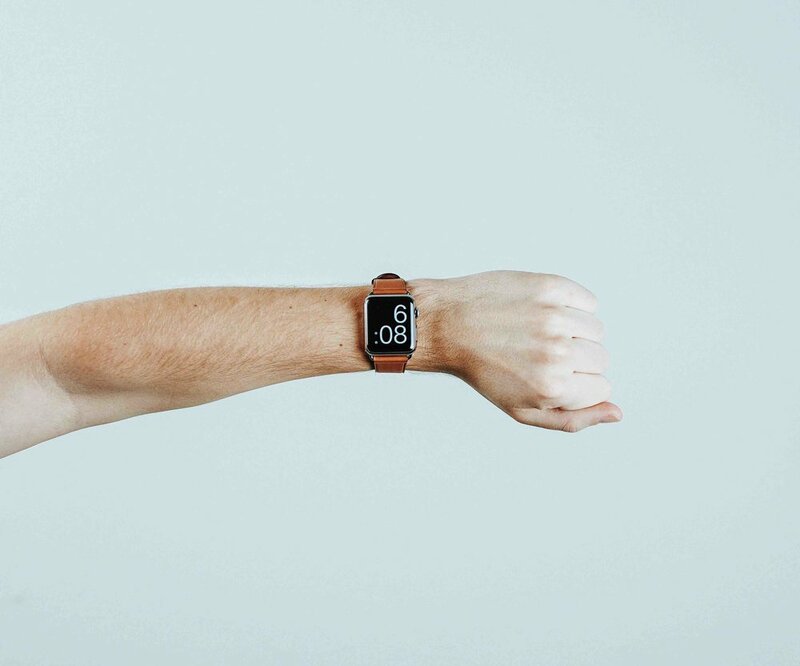 Now, remember, good content does not necessarily mean you need a ton of it, so if you’re thinking that posting fives times a day is going to get you more action, you’re probably wasting a lot of time. Instead, try putting together a content calendar which outlines the key messages you’d like to deliver for the month. From there you can begin to build posts that are quality focused and more robust in the information that they deliver. While you want to make sure you’re in front of people, it’s better to have fewer quality posts than tons of rubbish. Now it’s time to put some skin in the game. Have you noticed how often some social media networks send notifications coaxing you to boost a post? That’s because while we’ve had a great free run over these past several years, social media is now driving paid advertising opportunities harder than ever before, which means that if you aren’t prepared to cough up some cash, you’re going to be left in the dust. The good news is that social media platforms have so much information about their users that you can target right down to the most specific preference, life event, or behavior. Looking for 35-year-old pregnant women who live in Dallas, Texas and enjoy luxury shopping? Instagram has you covered. Want to find pre-retiree men who live in Bristol, Connecticut, enjoy playing golf, and take a least one overseas vacation every year? Facebook can deliver. So while social media advertising can seem overwhelming at first, it is a fantastic way to get your message delivered to your target market at an affordable price and they make it relatively simple to get started. Social media has given us small business owners a phenomenal way to self-publish and promote our businesses, so if you’re not active, you are most certainly missing out. Now, what are you waiting for? Make today the day that you give your business a kick in the pants and remember that we’re always here if you need us! Don’t be afraid to get in touch and feel free to check out our social media services for small business owners. Building customer trust is hard, but getting new customers to take the plunge and try your business for the first time is even tougher. While social media does give us lots of opportunities to shout from the rooftops about our brand, cutting through the clutter to find a loyal audience that is interested in what you have to say takes a lot of time, listening, and — money. That’s right, while Facebook, Instagram, and Twitter used to be powerful free tools, new algorithms mean that actually getting your message out to your core audience is going to cost you in ad spend. So how can a small business owner build trust and raise awareness about their brand on a budget? The solution may just be micro influencer marketing. In a nutshell, influencer marketing is the partnership between a brand and a social media user who has amassed a following and likes to spread the word about products and services to people who enjoy hearing from them. They do this in an organic way, highlighting their personal experience with the product or what they like most about the service, and then give it the tick of approval, encouraging their followers to try it for themselves. While many influencers have audiences well into the millions, micro-influencers can have followings of anywhere from 1,000 to 100,000 people - and that smaller audience can actually work to the brand’s advantage. When Journey builds influencer marketing programs for clients, we look for local influencers who have a following of 20,000 to 50,000 people and whose online profile, goals, and personality fit with the brand that we are working with. A recently executed campaign engaged 20 micro influencers with an average following of roughly 30,000 people. We invited them into our client’s business to experience their facility under a clear agreement that if they enjoyed it, they would tell their social media circles about it. The rave reviews by our selected influencers were seen by a collective audience of over 600,000 people in our client's local area, and we were able to grow our social media following by over 200%. The best part? We didn’t pay one single influencer to feature our client in their social media posts! Additionally, we now have a database of influential local people that we can rely on to help us promote our client organically and in a way cost effective way that makes their followers curious to try our client for themselves. Do you think micro influencer marketing might be for you? Find out how we can help. Did you know that Saturday, November 26th is Small Business Saturday? Created by American Express, Small Business Saturday is a national event designed to drive holiday shopping traffic to local, independent shops, restaurants, and cafes. We love the idea of giving small businesses a platform to shout from the rooftops, so we've created a day by day tip guide to help you take advantage of this national event on a local level. Let's get started! The first thing you need to do is create a reason for people to shop with you on Small Business Saturday. Whether it's a discount, a "buy one get one", or a free gift, it's a good idea to "reward" shoppers for choosing to buy from your business instead of a big, old chain store. Keep your offer simple and don't pepper it with too many confusing rules. Got it? Great! Once you have decided on an offer, special or discount, it's time to think about marketing. The first thing you'll want to do is update your website with the promo - your website is your digital storefront and it's where people will go to get more information about your offer. Make sure you include all the details of the promotion, as well as a signup where people can subscribe to your newsletter or social media channels. Once you have your website updated, it's time to start sending people to it! Today you should create between six and ten social media posts that you can use for your Facebook, Instagram, and/or Twitter accounts. People need to hear a message multiple times before it sinks in, especially with all the news and media pulsating through our brains every day. Saying the same thing 10 times can get a bit boring, so mix it up with different photos, videos, and graphics. We love Canva for simple design tools and if you need a content calendar template to get your social posts organized, just ask us! Don't forget to include a link to your website in each post. We're just a week and a day away from Small Business Saturday (see what we did there?)! Here is your to-do for the day. First, don't forget to drop your social media post! Then it's time to get your in-store signage up and rolling! Shop Small has some cute customizable and downloadable options via their website, or you can create your own! Our favorite free design tool is Canva which is super easy to use and has tons of templates for the designed challenged! Let's see what you come up with and don't hesitate to ask if you need a hand. Now that all your promo materials are ready, it's time to find some new customers! One of our favorite ways to find new shoppers is to connect with other local businesses with a similar clientele for a cross promotion! You can find a list of local Small Business Saturday participants on the Shop Small website. Pick a few businesses that you think might be compatible with yours and reach out to say hello! Working with partners is a great way to tap into each other's networks. Need help connecting? Just let us know! By the way, don't forget to post to your promo to social media today! Let's talk newsletters! If you have an email database, now is a great time to let them know about your Small Business Saturday promotion! Use simple content and an engaging image with a direct link back to your website. Often times business owners cram their newsletters with heaps of content, but you don't need to go crazy. Just be clear on what you're offering and how your customers can get it. Trust us, they will appreciate the simplicity of the message, especially with the holiday and Black Friday marketing rush! Need help designing an email newsletter? We love MailChimp, which is FREE to use and send to up to 2,000 recipients! We know you're all prepping for Thanksgiving so we'll keep today's tip super simple. Your event on Saturday will likely attract new customers, so think about a few ways to get them to come back again and again. Ask people if they would like to subscribe to your newsletter or follow you on social media. Create incentive cards with a discount that they can use on their next visit. Introduce a raffle on the day and get people to drop their business cards for a chance to win a prize. However you decide to do it, make sure you have a strategy to transform a new face from a one-hit wonder into a regular customer. Just two days until Small Business Saturday - let's get to work! Just kidding! It's Thanksgiving so drop a social media post and go get your turkey on. Have a wonderful day everyone, lots of love from all of us at Team Journey! Can you believe that Small Business Saturday is tomorrow? Let's get prepared! It's always a good idea to make your business stand out with some signage, balloons, streamers, a laser light show - whatever floats your boat. Also, it's a great time to send out a last minute social media post or newsletter follow-up to remind people to shop small at your business tomorrow. It's a busy time, but people are in the mood to spend - so join the pandemonium and have some fun. Happy Small Business Saturday everyone! We hope you've put our tips to good use and are gearing up for a great day. Don't forget to hand out those incentives, and be sure to encourage customers to sign up for your email newsletter or follow you on social media. Good luck and have an amazing day! KEEPING UP WITH WHAT’S NEW IN SOCIAL MEDIA CAN BE A NIGHTMARE FOR SMALL BUSINESS OWNERS. Between the algorithm changes, the evolution of new platforms, and the revolving door of apps and add-ons, just knowing what’s new might feel like more of a hassle than it’s worth. Guess what? You’re probably right! Let’s face it: you don’t need to be a social media ninja to make it work well for your business. All you need is a clear strategy and a solid handle on the basics. Remember, it doesn’t matter how many followers you have or that you’re down with the latest filters - what matters is that your social media presence is contributing to your bottom line. So in the spirit of keeping it simple, here are five timeless tips to help you get focused. Social media is a visual platform, and posts with photos and video drive double the engagement of regular text posts. Don’t worry if you’re not an ace photographer. In our experience, real images that exude authenticity often get better results than perfectly posed portraits. Remember that people are following you because they are interested in what you do, so what may seem mundane to you might actually capture your follower’s attention. If you have a restaurant, show your followers how their favorite dish is prepared. Own a salon? Capture the before and after pictures of your client’s new do’s. If you’re a florist, use a short video to explain an easy way to make a beautiful arrangement. Remember, what you do every day might seem boring to you, but could well be unique and interesting to your audience. Try it out! Getting reviews for your business is a surefire way to drum up new customers, but you won’t get them if you don’t ask for them! If you have a service business, make sure every satisfied customer is followed up with an email asking for a short testimonial. Make it easy by including links to your Facebook, Yelp, and Google pages. If you’re in the product game, ensure that your website or Etsy shop has reviews enabled. These short testimonials from happy customers relay trust and satisfaction in the product or service you’ve provided, which is much more powerful than any boring old ad. Encourage people who are visiting your business to check-in via Facebook or tag their photos on Instagram. It’s simple, but a check-in or tag alerts your customer’s followers that they are enjoying an experience at your business. It just might inspire others to do the same! Think about it this way. Have you ever seen a friend enjoying a relaxing day at the spa, and thought to yourself, “I need one of those!”? Exactly. You can remind people to check-in to your business by displaying some simple signage, and entice them further with a small discount, such as 10% off, a complimentary add-on, or a gift with purchase. Also, don’t forget to repost! Showcasing user-generated content is a powerful way to build your brand, and it gives a bit of love back to your loyal customers. Too many business owners forget that their best brand ambassadors are all around them. Make sure that your friends, family, and especially your staff are liking and sharing your social media posts. The average person has 200 Facebook friends, which means you probably have an exponential reach right within your four walls. Be sure to ask your staff to share your content, and give them some tips on best practices if they seem a bit shy. An incentive might sweeten the deal too. A week of coffee on the boss for the staff member who shares the most posts might be one idea worth thinking about. Chances are that you have customers with a rockin’ social media presence. There are tools such as SocialRank.com that will let you sort through your followers using different filters to discover which ones have the greatest reach. Create a list and invite them to be an influencer for your business by trading goods and services for social media mentions. For example, if you own a gym, you might offer a free training session in exchange for a snap showcasing their experience. If you sell skin care, you might pre-release a new product to a core group of influencers in exchange for them sharing some great photos and a link to purchase. Just like the use of ambassadors, the result of this strategy is the potential to reach new people who may not be aware of your brand. No matter what happens with the evolution of social media, some things won't change. Engaging your customers with great content and encouraging them to share their experiences are strategies that will never go out of style, no matter what new fad or trend pops up next. Sharpen up on the basics, and your social media presence will be as good as gold. Need help lifting your game? We love helping small businesses and start-ups tell their story. Feel free to get in touch to ask a question or to learn more.